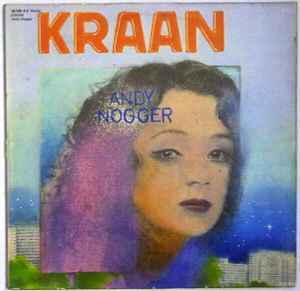 Kraan reached the peak of their international success with the release of ANDY NOGGER (their third studio album) and LIVE (a double album recorded in Berlin's "Quartier Latin" by veteran engineer Conny Plank) which preceded Kraan's first tour in Britain. Much of the material was in common on these releases, showing how different Kraan were as a live and studio band. ANDY NOGGER was totally refined, precise and punchy, whereas LIVE found them wigging-it-out, with lots of jams extending favourite tracks, notably a brilliant Kraan Arabia and some new numbers, but curiously nothing from WINTRUP. It has been said that Hattler's bass had become the lead instrument on many tracks, with his fiery runs, finger picking and dazzling chord progressions being an amazing sight to see. I know, as I saw them on the Old Grey Whistle Test, and the weird guy with the enormous bass was what most impressed me.